When you need a reliable contractor for the projects that enhance your exterior living space Scenic Fence and Deck is the right choice. We are Deck and Fence Specialists! 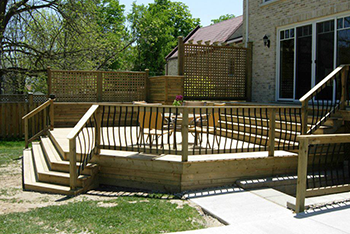 Let us help you find the custom decking and fencing solutions that fit both your backyard and your lifestyle. The first step out of the back door is onto a deck. Decks are perhaps the most common and favorite addition in the backyard. Decks create a seamless change from the indoors to the outdoors, allowing us to enjoy the benefits of the back yard. When choosing the right fence it is important to have all the facts to help make the most informed decision. 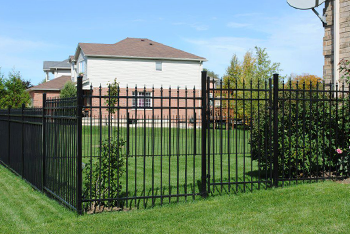 We will be happy to help you decide on the type of style and fencing that best meets your needs. When you need additional strength and security, turn to Scenic Fence & Deck Commercial fence systems. 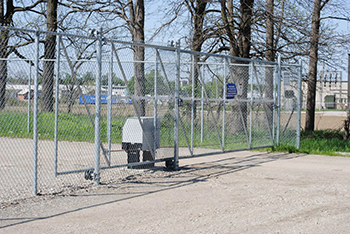 Parking lots and manufacturing facilities are just a few of the commercial locations that utilize Scenic Fence & Deck Commercial fences. At Scenic Fence and Deck we believe that your backyard should be an extension of your living area, which should be tailored to your family's needs.